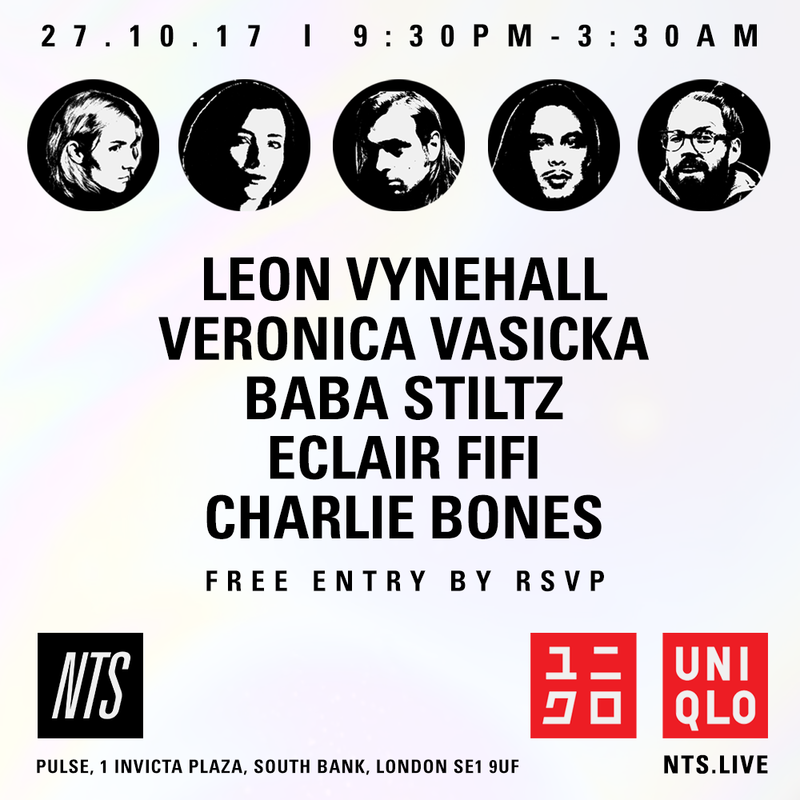 To celebrate one year of Uniqlo Tate Lates, NTS Radio and Uniqlo are throwing a FREE afterparty at Pulse, a two minute walk from Tate Modern. DJs on the night: Charlie Bones, Baba Stiltz, Eclair Fifi, Leon Vynehall and Veronica Vasicka (Minimal Wave). For guest list, sign up HERE. Entry will be on a first come, first served basis.